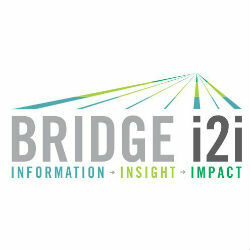 BRIDGEi2i is a global analytics solutions company focused on bridging the gap from INFORMATION to IMPACT through INSIGHTS. The company partners with enterprises, governments, institutions and individuals globally, to help them achieve accelerated outcome by simplifying and embedding analytics in their DNA. ExTrack is a customer insight platform that provides metrics and statistics on customer experience by analyzing quantitative and unstructured information from multiple customer touch points. The platform acts as an accelerator to develop a customized application for tracking customer experience related issues as well as correlating experience with business results. Forecasting Engine is a cloud-based, one-stop forecasting platform capable of automatically identifying the best-suited models for a series of data and generating rigorously tested key accuracy metrics. The application uses advanced forecasting models along with more traditional models and can generate an ensemble forecast that is proven to be more accurate. S-Reco is a proprietary decision engine that leverages a combination of advanced statistical and machine learning techniques to make intelligent, personalized sales recommendations. Sales representatives can use S-Reco’s recommendations to have intelligent conversations with store owners to achieve higher conversion rate. Surveyi2i is a cloud-based integrated survey analysis and reporting platform with advanced analytics and text mining capabilities. The platform is ideal for survey researchers, business analysts, business managers, and customer experience managers.